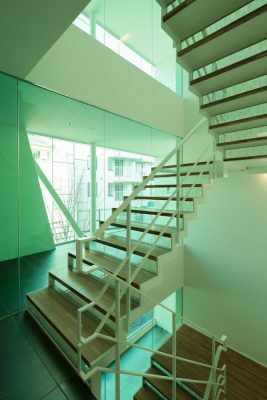 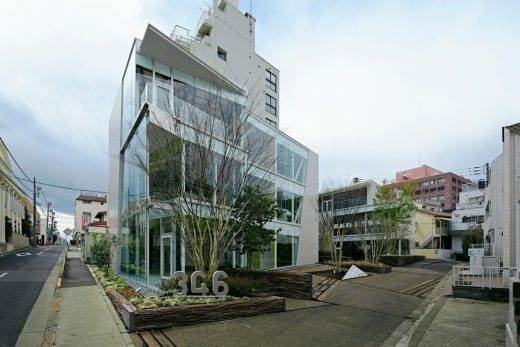 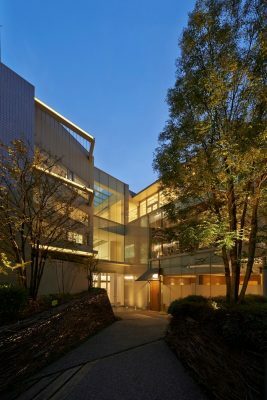 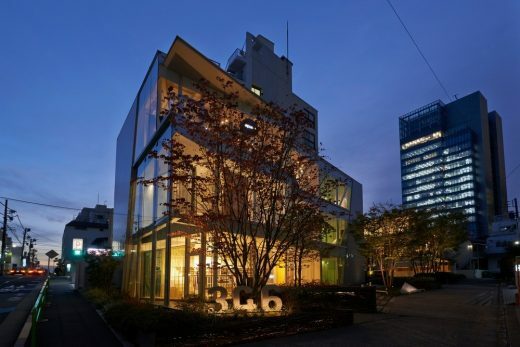 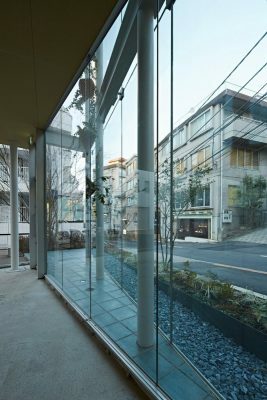 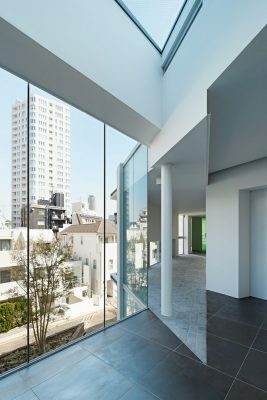 A three-story office and retail complex in the Minami Aoyama area of Tokyo, Green Triangle—Aoyama 346 is an interplay of multiple green triangles, which articulate the liminal spaces that intermediate between the interior and the exterior of the building. 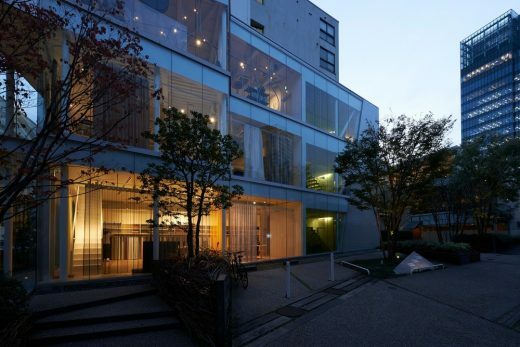 The design is also a response to the client’s request to create “an urban oasis” in the very heart of the city. 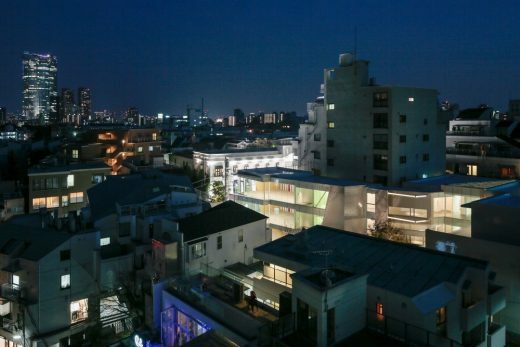 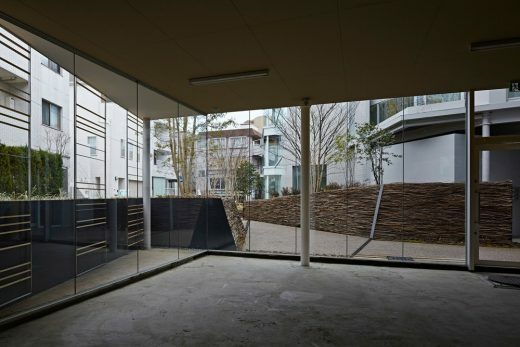 The project sits on a hilly, “flagpole” 750-square-meter site that is cornered by streets to the west, east, and north—the last one of which is a private driveway that is integrated into the overall design. 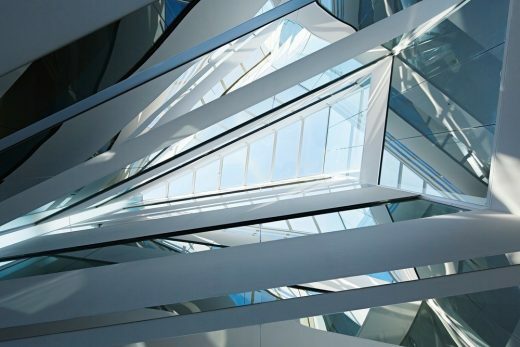 The design primarily exploits these site conditions by referencing the geometry of triangles that variegate in their materiality, hue, and density as they progress from the exterior into the interior. 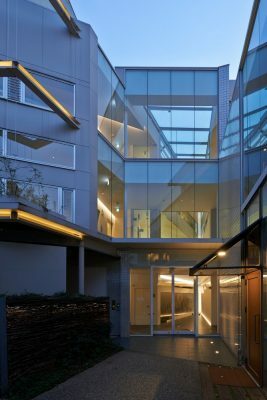 A triangular, two-story void features potted plants that hang from above, folding in greenery into the building and offering visual connection with the adjacent main street through its glass curtain wall. 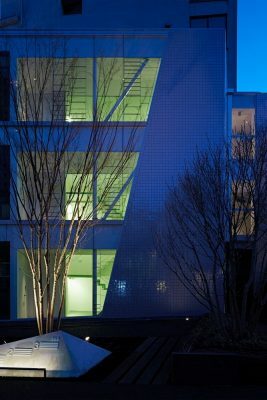 Retail and restaurant spaces are punctured by semi-open triangular balconies around the building’s corners. 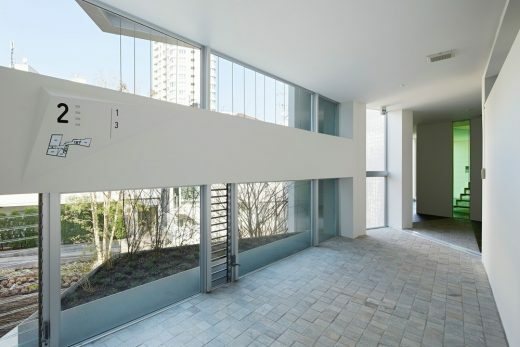 A triangular bridge connects the two zones of the complex, from which exposed beams intersect on the exterior to juxtapose the building with the landscape elements. 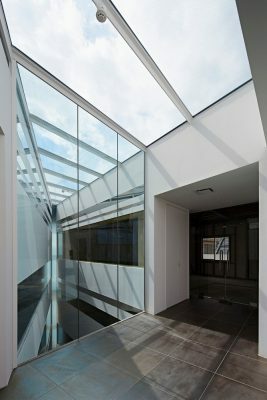 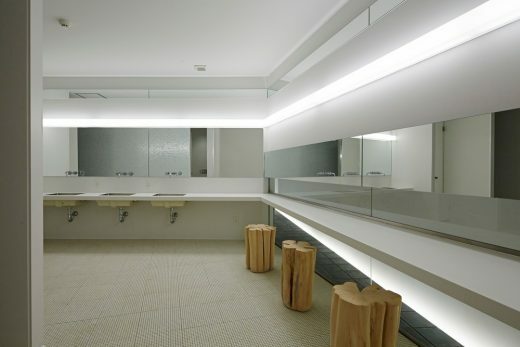 In particular, the linear arrangement of mirror stainless steel, LED light, flexible board, and glass in the skylight hall showcases an infinite interplay of angular forms, where sunlight pours through the top light and the vertical slit and bounces off among the striated, reflective materials. 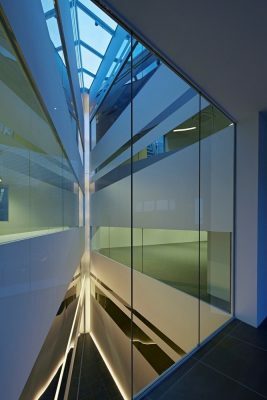 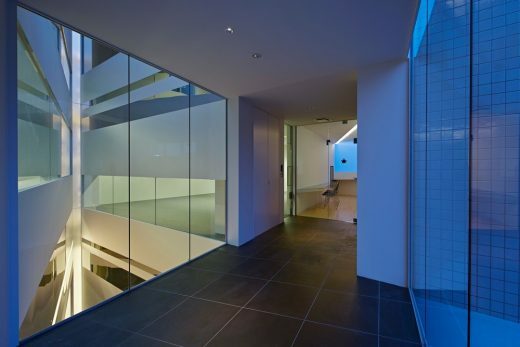 These elements, together with the surrounding landscape, are projected onto the lustrous tiles on the façade and the glass curtain walls, as well as the mirror stainless steel that lines the interior hallway, further reinforcing the idea of interpenetration.